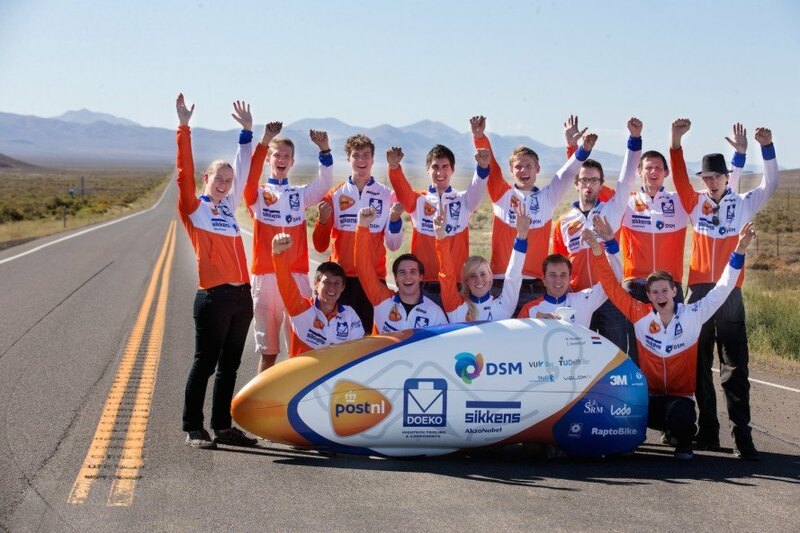 In 2013 the Human Power Team broke the world record, riding 133,78 km/h (83.13 mph) with the VeloX3. The special VeloX recumbent bicycles can be seen as the Formula 1 of the bicycle. The knowledge gained is also used to develop sustainable transport. Rik Houwers is on his way for his first record attempt with the VeloX4. He will cycle 80,44 mph and is the third fastest man in the world. 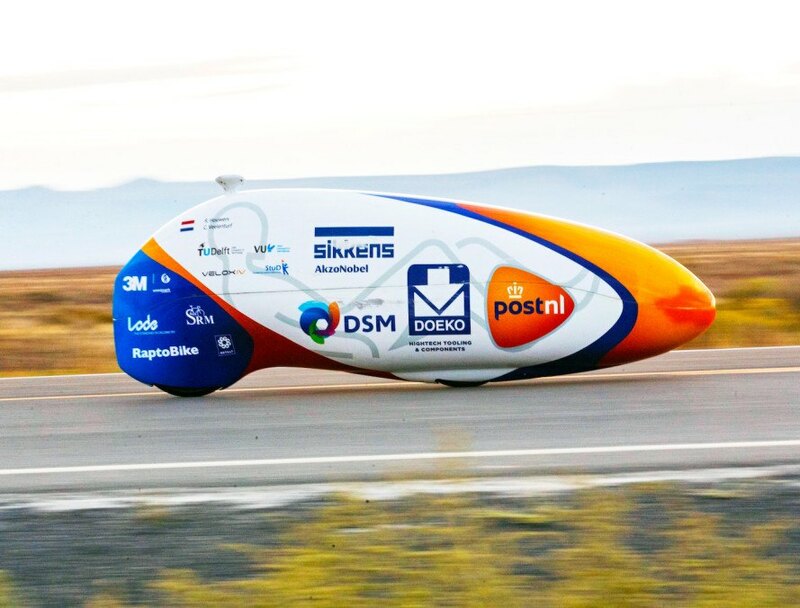 The Human Power Team Delft and Amsterdam, a team by students of the TU Delft and the VU Amsterdam, is in America to set a new world record speed cycling. I 2013 the team broke the record, Sebastiaan Bowier rode 133,78 km/h (83,13 mph) with the VeloX3. In Battle Mountain (Nevada) each year the World Human Powered Speed ​​Challenge is held. During this race they try to ride on pure manpower as hard as possible. Speeds up to 133 km/h are reached. The participants consist of both teams from universities and from hobbyists. With the sleek bikes they want to show what is possible with human power. The special recumbent bicycles can be seen as the Formula 1 of the bicycle. The knowledge gained is also used to develop sustainable transport. The riders Christien Veelenturf and Rik Houwers of the Human Power Team Delft and Amsterdam test out a pair of bikes near Battle Mountain, Nevada.